Trying to find a particular request and at what stage of the ROI process is it in? With the RecordQuest platform, it has never been easier to find it and where it has been. Select a record report data sample below. 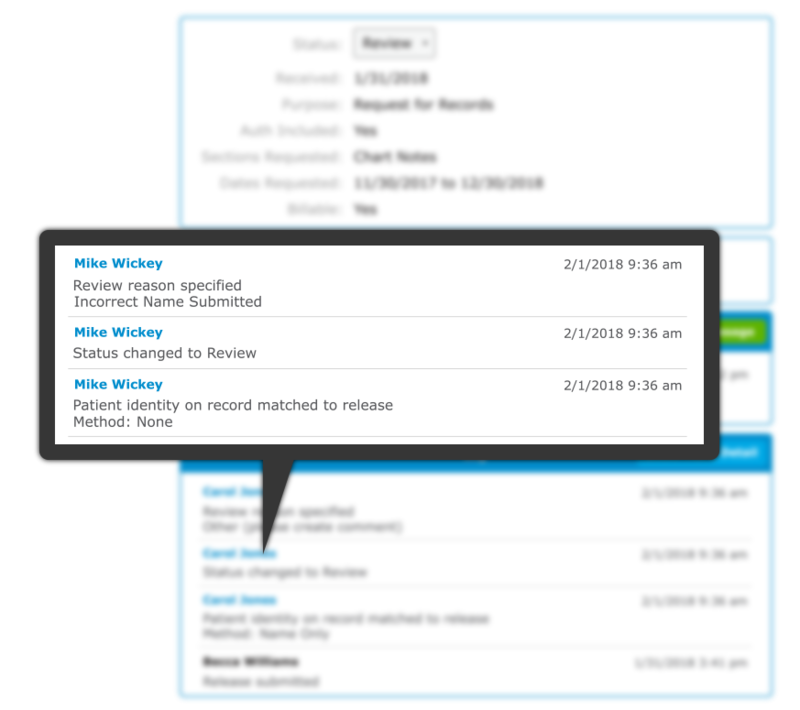 Identify exactly when the request was made and entered into the RecordQuest platform. Review when and who interacted with the request throughout the process. Quickly read notes regarding record request issues or concerns. Receive a brief summary of the request including such vital data as the total number of pages and billable information. 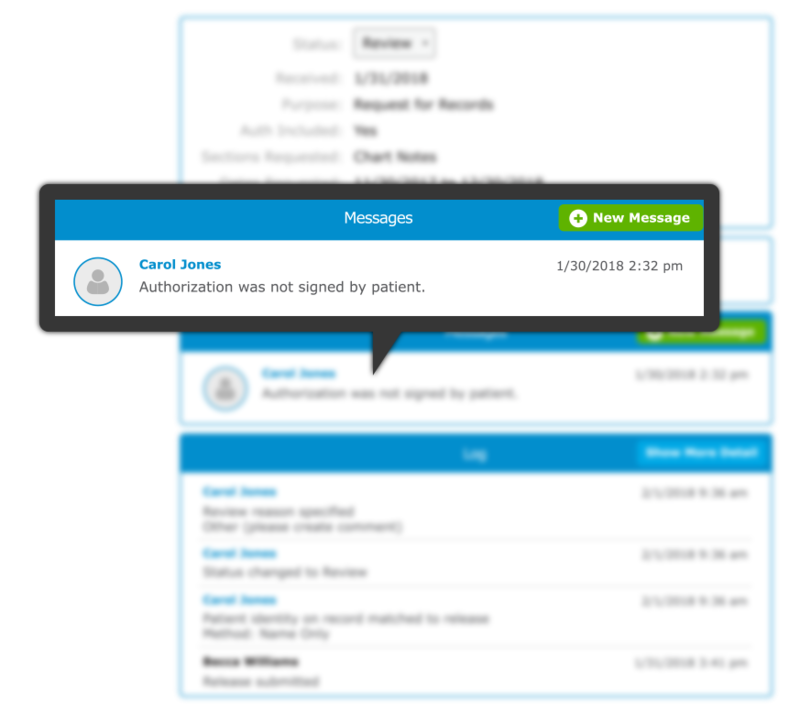 Need to view the immediate status of a record? We thought of that, too. 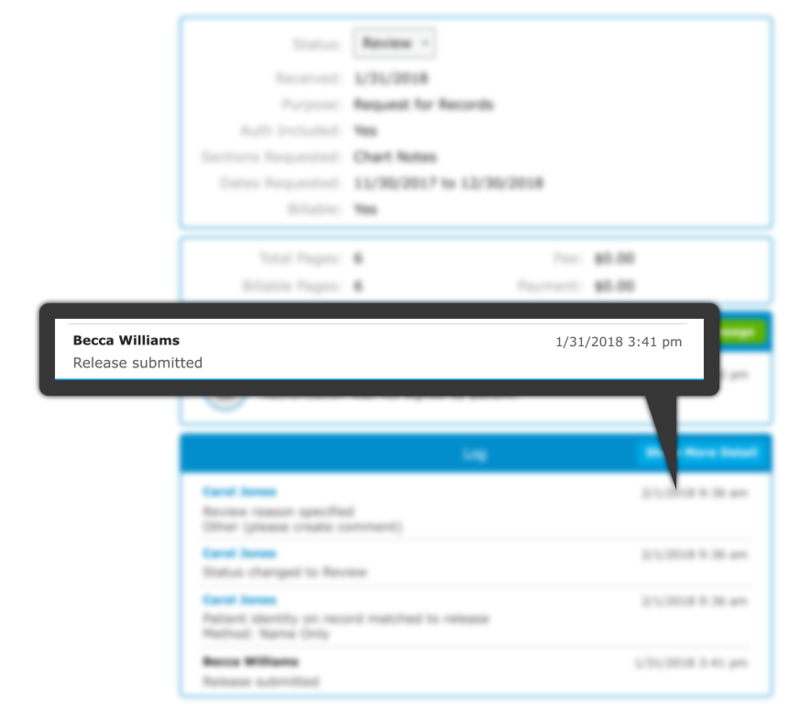 Identify exactly when the request was made and entered in the RecordQuest platform. Need to find a quick way to learn a record’s status? We thought of that, too. 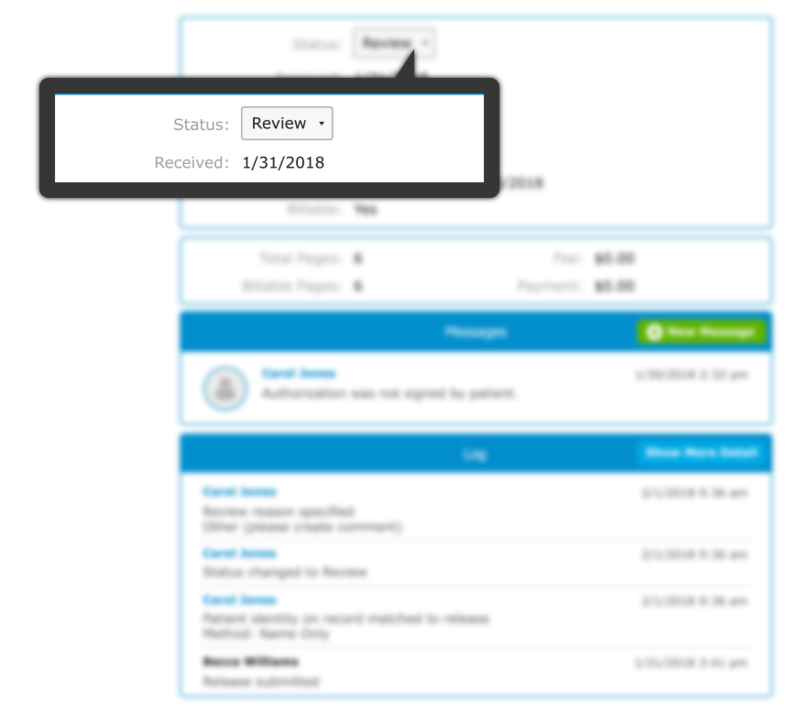 With robust reporting functions, you can learn the speed for when requests are processed, and who interacted with each one. 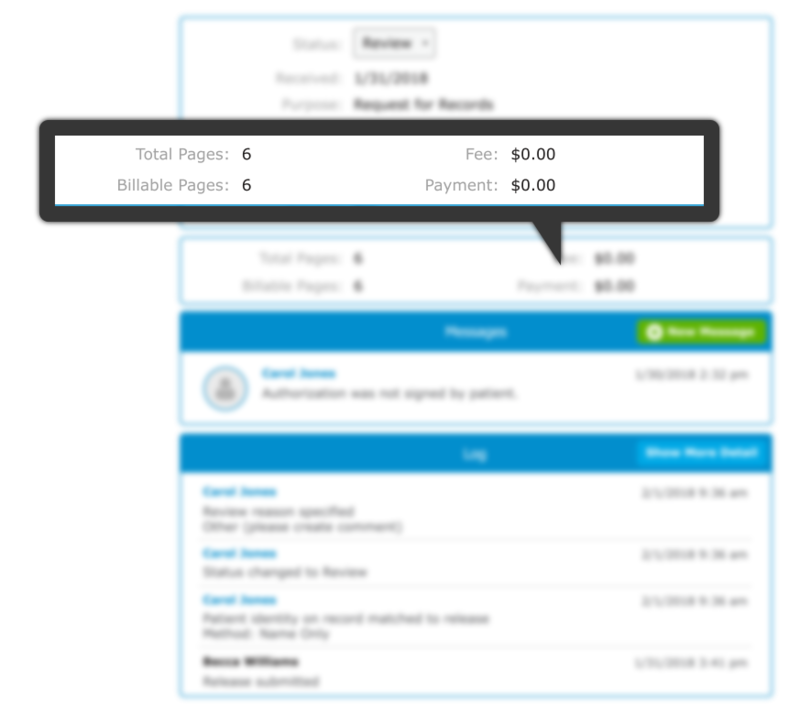 Whether your organization has one facility or several, RecordQuest easily organizes each location’s requests providing a detailed overview of office ROI efficiencies. 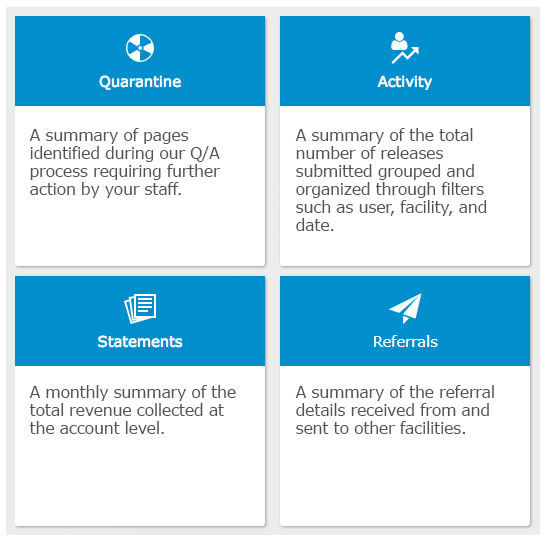 In addition to the standard reports you receive, we also offer facilities customizable reports unique to each ROI process and measurement standards.